Maybe you’re surprised at this news or maybe it just confirms what you knew all along: that anything coming from the ocean is bound to be contaminated by what scientists call microplastics. Researchers as of late have warned consumers of the likelihood that their seafood likely consumed plastic before its death, but not everyone eats seafood and certainly most people did not heed that warning. Contamination of salt is something else altogether. The majority of people around the world consume salt on a daily basis, whether it’s by directly pouring table salt onto food or through the consumption of other foods that have already been salted. This year alone, several different groups of researchers confirmed that plastics were mixed in with dozens of different salts found in stores around the world. Among the latest reports are one from August, in which researchers found plastics in all 21 types of salt tested, and a still-unreleased report from the State University of New York at Fredonia, where 12 salts from U.S. grocery stores were tested. Based on the amount of salt recommended for consumption per day, which is less than an ounce, humans could be consuming up to 660 particles of plastic each year, according to Sherri Mason, the leader of the State University of New York study. Since an estimated 90% of Americans eat more than the recommended amount every day, this number could be even higher. 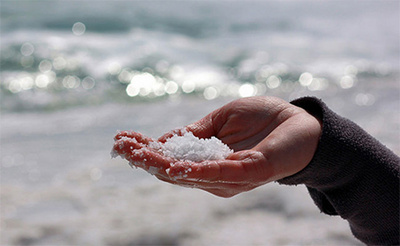 Humans dump about 13 million tons of plastic into the ocean each year, so it’s no wonder that the material is so prevalent in sea salt. The problem of plastic pollution could soon rival the effects of climate change, though the production of plastic is a major contributor to climate change so the two are already heavily intertwined. The majority of the plastics that wind up in the ocean are single-use bottles and microbeads from face washes and toothpaste. No matter what its origin, all plastic eventually breaks down and becomes one of the many pieces of microplastic floating around in the ocean. Unfortunately, the true effects of ingested plastic in the body of humans is unknown for one scary reason: scientists are unable to locate any people that have not already been exposed to the ingestion of plastic. This is truly concerning, but since we don’t know how long salt has been contaminated with plastic it’s not exactly surprising. The latest report on salts also comes soon after news of plastic being found in tap water, so to describe the harmful material as “ubiquitous” is completely accurate. Even worse, humans show no signs of slowing down their use of plastic and the horrible disposal of it in the ocean. A recent report found that plastic bottles are consumed at a rate of 1 million per second around the world, and that number is expected to quadruple by 2050. Salt found in the grocery store originates from all sorts of areas, including Australia, France, Iran, Japan, Malaysia, New Zealand, Portugal and South Africa, so it’s impossible to simply buy a salt that doesn’t come from a contaminated area. As Mason said, these results are about more than just finding a different source and ignoring the facts. A change in the way humans rely on plastic as a whole needs to be evaluated.